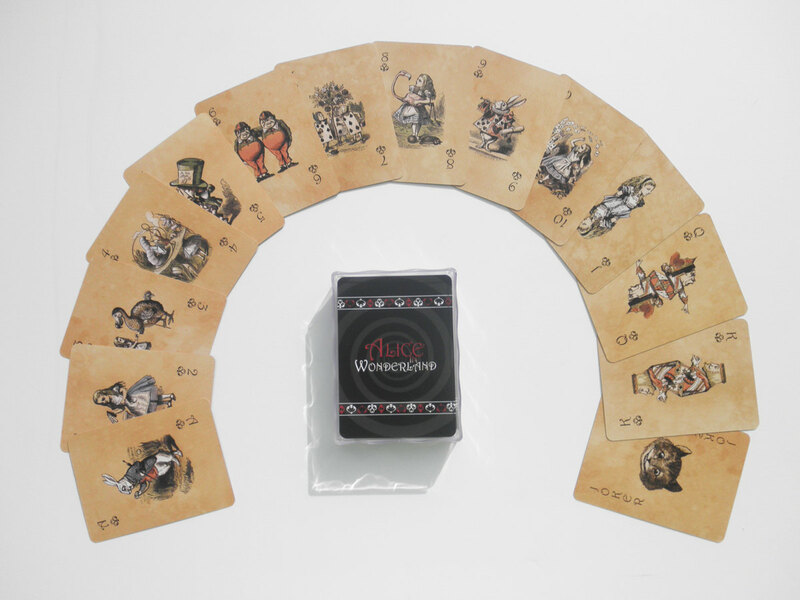 “This charming deck of playing cards is “Alice in Wonderland” themed and features illustrations drawn by John Teniel from “Alice’s Adventures in Wonderland” and “Through the Looking Glass” by Lewis Carroll. Each illustration was then digitally painted by me and placed on lovely coffee backgrounds (also painted by me). Each letter/number features a different image from the books. (15 different images total including the back of the cards.) 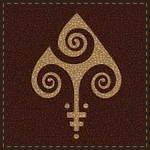 The symbols for the club, spade, heart and diamond were designed by me. 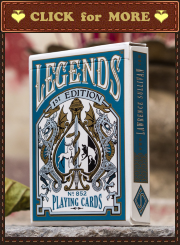 Each deck is professionally printed, contains 54 cards (A-K plus two jokers) and comes in a clear plastic box. 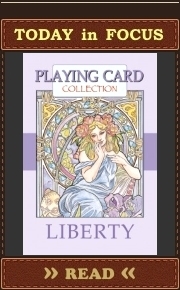 The cards are hard to crease industry quality bendable card, same as what casinos use.